Be nice, kind and caring for others, share love and healing to those in need as well, you will get 20% everytime you refer another soul to heal. If you refer 5, your healing would be FREE! What is Distant Energy Healing? Quantum Energy as supported by Science is a flow of Healing Energy from our beautiful higher Consciousness we are all made from, that when it touches you, you will receive its loving healing zest in your entire individual energy. Running mostly from your Crown Chakra and the other chakras as well. This healing has many benefits for your health and well being, a gift of our universal love and joy will merge with your energy field, healing everything on its way... opening your chakras, your universal portals and raising higher your vibration to love and happiness frequencies. This healing is felt immediately when received, you will feel loving sensations of warm and happiness, feeling lighter and more joyful. You will be able to benefit from it for days and weeks ahead. It will also allow you to release limiting beliefs and emotions you hold within your body and soul. You will gain immense energy, sleep better, relax more, lessen your chronic pains, feel happier, unlock your spiritual blockages and the list goes on and on as I keep hearing from many of my clients! This healing is your first step towards a better health using what we are made of, LifeForce. We are light beings and we heal with the light of our higher consciousness through our universal key DNA. If you never had energy healing session before, this is the healing to give you a jump start and you will make your own judgment. 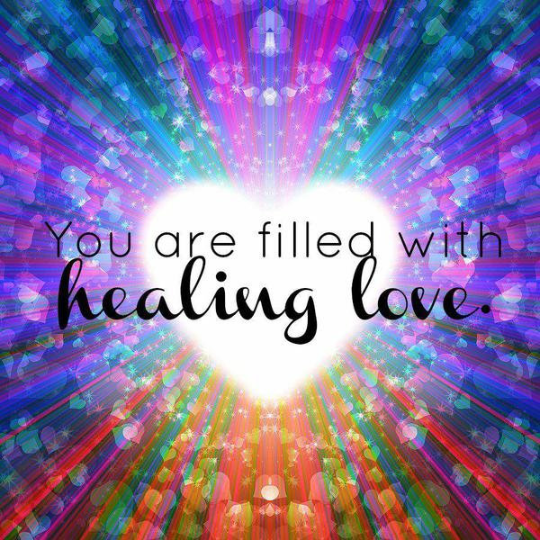 And if you had some similar healing before with other healers and you have not felt a huge change, this one here will change your mind! This order would be your genuine start point with Energy Healing, I will make sure you are receiving the healing and connected to the source of it, flowing in your overall energy field healing everything needed on its way… this healing is very loving and generous comparing to what is available in the market. If you have tried other type of healing with no success or no changes at all, this healing will blow your mind, you will feel it from the moment you receive it… you will witness your body adjusting and healing, you will gain awareness about who you are and your entire living experience. This order will be a good start for you if you are curious about Energy Healing or simply you have not found the healing that will make you change your mind about Distant Energy Healing. I Guarantee you that you will feel this healing and no matter what situation you are in in terms of health and well being, this distant healing will only help you improve to get you to the next level of your overall improvement. Quick Disclaimer: this healing is NEVER a substitute of your medical treatment and it will NOT provide any advice in that regards. This healing is only a side help you can get to help you through any challenges you are experiencing. Whether going into surgery soon, recovering from surgery, having treatment for chronic condition or dealing with heavy emotional state or simply you want that simple boost of energy for your daily life. This healing will just help you get to that next level no matter what your needs and circumstances are. Although I guarantee that you will feel my healing and its effect on you right from the moment I perform the session on you, this does not mean I guarantee full healing or complete cure of something. After receiving your order, your healing will be scheduled in about 3 days, usually 2 to 5 business days. This is a general healing session, it will impact every area in need of healing, but if you are more serious about your health, you can always book a live healing session with me where we can focus on your specific symptoms and issues and involve more healing flow into your energy according to your specific needs. Everyone is unique and every health issue is unique in terms of energy, it is all connected between your emotions, mindset and your physical existence. Everyone is different when it comes to healing with Energy Healing, and only your commitment and your responsibility will get you where you are longing to be. More healing you are exposed to, more results and faster improvement you will notice! For whatever healing you are looking for, physical, emotional, spiritual, this healing will help you improve your overall health and your well being. Significant improvement Guaranteed!